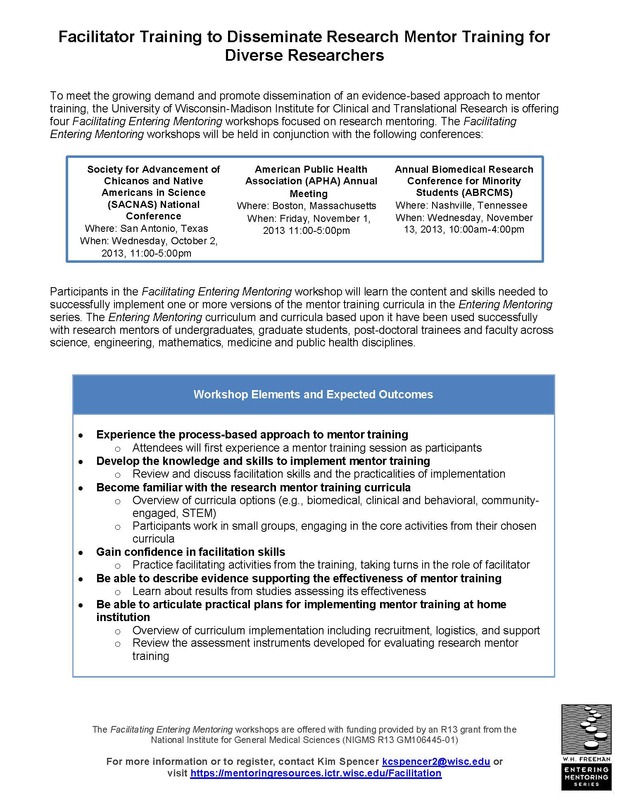 The Collaborative Center for Health Equity would like to invite you to participate in a train-the-trainers facilitation workshop, Facilitating Entering Mentoring, to promote the spread of research mentor training! This workshop is being offered by UW-ICTR with support from the NIH to meet the growing demand for an evidence-based approach to research mentor training and to expand dissemination to diverse groups of scholars. Further details are provided on the flyer included below. Enrollment for each workshop is limited to 40 attendees on a first-come, first-served basis.